Alicia Frannicola, MS, CCC-SLP,COM® is a certified and New Jersey state licensed Speech and Language Pathologist and IAOM certified Orofacial Myologist. She is the owner of Reach for Speech & Beyond, LLC, a private speech, language and orofacial myofunctional therapy practice located in Clifton, New Jersey. She has worked in various settings including public and private schools, preschools, early intervention, private practice and has mentored numerous graduate student clinicians. Alicia received a Master of Science degree in Communication Disorders from William Paterson University of New Jersey and received training and certification in Orofacial Myofunctional Disorders from the International Association of Orofacial Myology (IAOM). She holds a Certificate of Clinical Competence (CCC) from the American Speech-Language-Hearing Association (ASHA). She is a member of ASHA, the American Academy of Private Practice in Speech Pathology and Audiology (AAPPSPA) and the International Association of Orofacial Myology (IAOM). In addition, she is co-chair of the Bergen County Speech, Language and Hearing Alliance (BCSLHA). Alicia has received numerous ACE Awards for continuing education from ASHA for her participation in extensive continuing educational conferences and courses, with many focusing on oral motor development, articulation and orofacial myofunctional disorders. Alicia is also PROMPT Level 1 Trained. She believes strongly in always furthering her knowledge, sharing that knowledge with the community and is a highly motivated therapist. Rebecca Cooke, MA CCC-SLP is a certified and New Jersey state licensed Speech and Language Pathologist. 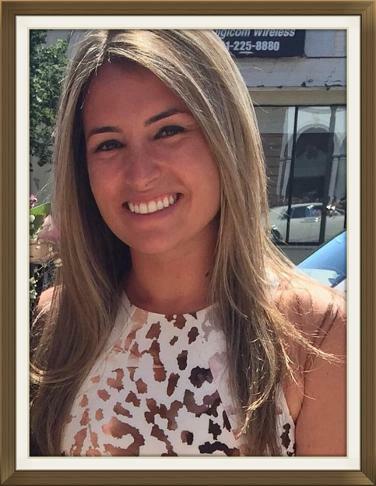 She was mentored by Alicia throughout her graduate clinical placements and joined the private practice in 2018. She is a member of the American Speech, Language and Hearing Association (ASHA), where she holds a Certificate of Clinical Competence (CCC). She has worked in various settings including public and private schools, multiple disabled schools, acute care inpatient hospitals, outpatient rehabilitation hospitals and early intervention. She earned her Bachelor’s degree in Speech Language Pathology from Loyola University Maryland and went on to receive her Master’s degree in Speech Language Pathology from Kean University. Rebecca’s passion lies in pediatrics. Rebecca brings her highly motivated and energetic personality into all therapy sessions and absolutely loves working with the pediatric population!